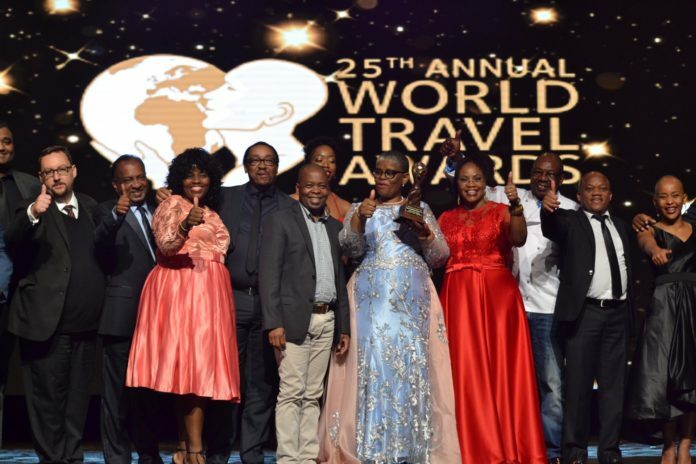 Travel brands in Africa and the Indian Ocean have been honoured at the World Travel Awards ceremony held at the Durban International Convention Centre in Durban, South Africa on 7 October. Winners included South Africa, voted ‘Africa’s Leading Destination’. Durban was named ‘Africa’s Leading City Destination’, whilst Cape Town was acknowledged as it picked up ‘Africa’s Leading Festival & Event Destination’. In the Indian Ocean categories, Mauritius cemented its reputation as the definitive romantic island by being named ‘Indian Ocean’s Leading Honeymoon Destination’, whilst the Maldives was heralded ‘Indian Ocean’s Leading Destination’. In the aviation sector, Ethiopian Airlines was voted ‘Africa’s Leading Airline’, whilst Kenya Airlines picked up ‘Africa’s Leading Airline – Business Class’ and ‘Africa’s Leading Airline – Economy Class’. ‘Africa’s Leading Airport’ went to Cape Town International Airport. Meanwhile, in the Indian Ocean, Air Mauritius claimed the ‘Indian Ocean’s Leading Airline’, ‘Indian Ocean’s Leading Airline – Business Class’, ‘Indian Ocean’s Leading Airline Brand’, and ‘Indian Ocean’s Airport Lounge’ (The Amédée Maingard Lounge @ Mauritius International Airport). Hospitality winners included Hilton Hotels & Resorts (‘Africa’s Leading Hotel Brand), Saxon Hotel, Villas & Spa (‘Africa’s Leading Boutique Hotel’), Thanda Island, Tanzania (‘Africa’s Leading Luxury Island’), Hilton Cabo Verde Sal Resort (‘Africa’s Leading New Resort’), Hilton Durban (‘South Africa’s Leading Business Hotel’), Legend Golf Resort & Spa, South Africa (‘Africa’s Leading Sports Resort’), and Transcorp Hilton Abuja (‘Africa’s Leading Business Hotel’). Other highlights included awards for South Africa Tourism (‘Africa’s Leading Tourist Board’), Durban ICC (‘Africa’s Leading Meetings & Conference Centre’), Durban (‘Africa’s Leading Meetings & Conference Destination’) and Mauritius Tourism Promotion Authority (‘Indian Ocean’s Leading Tourist Board’). The ceremony marked the sixth leg of the WTA Grand Tour 2018 – a series of regional events to acknowledge the world’s outstanding travel brands. Events on the tour include Ras al Khaimah (United Arab Emirates), Athens (Greece), Hong Kong, Guayaquil (Ecuador) and Montego Bay (Jamaica). The regional winners will progress to the Grand Final 2018, which is being hosted in Lisbon (Portugal) on 1st December.